Before we begin, this writer wants to tip his hat to Bernie Sanders and his supporters for efforts to confront the corrupt status quo Democratic Party Establishment to date. While most Bernie Sanders supporters consider Mainstream Media pronouncement of Hillary Clinton as the presumptive Democratic Party Nominee, what Mainstream Media (MSM) failed to say is the real story. The real story being that it is remarkable to consider that even with the overwhelming support and machinations of the Democratic Party Establishment and the 1%, Hillary Clinton, the Establishments puppet, is barely beating Bernie Sanders(the candidate of rank and file Democrats). That having been said, lets assess the playing field as it stands now. The flood of reporting from Mainstream Media yesterday had this writer believing that Bernie Sanders came away from his meeting with President Barack Obama yesterday with the demeanor of a whipped dog. So where does this leave ardent Bernie Sanders supporters. And more importantly to this writer, where does that leave rank and file members who are tired of corruption permitted and encouraged by the political establishment of both major parties. (This writer strongly identifies and aligns himself with that portion of Bernie Sanders Campaign that called for a strong and forceful redress of systemic corruption in America.) It seems to this writer, that if Bernie Sanders’ admonishments that he was going to take on the systemic corruption in Washington were/are sincere, there is no conceivable way Bernie Sanders can throw his support to Hillary Clinton. Hillary Clinton is part and parcel of the corrupt status quo in DC and will make no efforts to reign in corruption. Worse, Hillary Clinton will expand and promote any corrupt scheme she believes she can personally profit from. But, perhaps there is an explanation for Bernie Sanders sudden support for Hillary Clinton (and we will address this a little later) But for now, this all seems to leave Bernie Sanders supporters with two choices; vote for someone other than Hillary Clinton or don’t vote at all. But perhaps there is a third option for those Bernie Sanders supporters who remain committed to confronting and reforming the corrupt status quo establishment in Washington. And that third option comes from America’s own history. And ironically, this suggested option is inspired by George Washington himself. At the time of the revolutionary war, the military tradition was for linear warfare. Essentially, Military Leaders had rank and file soldiers lined up across from each other in parallel lines and fired at each other until one side or the other ran out of soldiers and/or ammunition. General Washington knew that in this style of warfare England, with its larger, better trained and better supplied military, would soon win by attrition. Because of this knowledge, General George Washington adopted a “Quasi-Guerilla style warfare” This included surprise attacks, night raids and taking cover (hiding behind bullet stopping objects). Only because of General George Washington’s thinking “outside the box” did America come to be free. Had George Washington blindly conformed to tradition, America would have lost the Revolutionary War. This writer encourages those Bernie Sanders’ followers whose allegiance to Bernie Sanders was based on principle over loyalty to learn from George Washington’s example. In the present scenario, the corrupt American Political Establishment have created an unfair and fraudulent election process which makes it virtually impossible for rank and file Americans to get someone who will champion their best interests elected. Perhaps even more infuriating is the way the Establishment then cites this machinated fraud of an electoral system as reflecting the “will of the masses” to quell those who dare criticize our government. The Political Establishment of both major parties is better organized and gets “party delegates” loyal to the establishment elected in large majority over novice rank and file party delegates. (This writer believes there are not actually two major political parties but rather one Tyrant Class pretending to be two major parties, but for the majority of this article will continue to speak in the false left/right two party paradigm) These delegates then vote in lock step with the Party Establishment at every level of the process, including the State and National Party Conventions. The party rules are written to give the Establishment’s preferred candidate(s) an advantage, particularly in the bogus Democrat Super-Delegate system. Further, veteran establishment party officers use their knowledge of the rules (and their interpretations of the rules) to the further detriment of true rank and file challengers. Still further, the hard and soft money the Party Establishment and the 1% give to their preferred Presidential Candidates is just enormous. Add to this that some how, the Political Establishment exercises control over the Mainstream Media to control the political conversation; in the present case giving Hillary Clinton far greater media coverage than Bernie Sanders. The point here being that the current electoral system, similar to the traditional linear warfare George Washington encountered, is stacked in favor of Establishment candidates and against candidates who would champion the best interests of rank and file Americans. And, then there is the “White House Woodshed” Yesterday President Barack Obama took Bernie Sanders to the proverbial White House woodshed and told him the way things really are and will be. (This portrayal reflects this writer’s perception of Bernie Sanders as a man of integrity, as opposed to the typical lying politician) This writer believes Bernie Sanders would not willingly support Hillary Clinton, a person antithetical to reform and cracking down on corruption. Yet Mainstream Media is full video and soundbites of Bernie Sanders now saying he supports Hillary Clint. This writer can tell you from personal experience, the Political Establishment has a variety of carrots and sticks to cajole and/or force people to tow the party line. If Bernie Sanders is chairman of any Senate committees, he was likely warned he would lose them if he didn’t give full support to Hillary Clinton. Bernie Sanders was also likely reminded that cooperation in moving any of his legislation forward would dry up if he failed to “play ball” And of course, the Party has a large budget at its discretion it can use to support its preferred members seeking reelection. Say bye, bye to that…. And of course, the 1% have large sums of money they can offer anyone to induce them compromise their principles. The point here being that what Bernie Sanders says publicly, may not reflect what he believes personally. This writer submits Bernie Sanders, the man of principle, would want his followers to follow their hearts and principles to achieve the goal of combating corruption and restoring the “Rule of Law” in any legitimate matter available to them. The Founder’s provided just such a legitimate course of action for dealing with tyranny and injustice. The road map for dealing with rogue and tyrannical government can be found in the First Declaration of Causes (July 6, 1775) and the Declaration of Independence (July 4, 1775). This process calls for using all peaceful remedies before considering alternative remedies. This process calls for documenting the exhausting of all peaceful remedies. 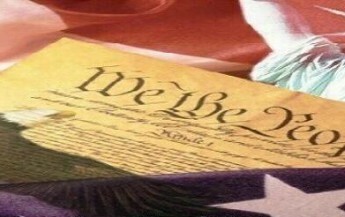 This process calls for a final Petition for Redress of Grievances (First Amendment) in the form of a “Declaration of Causes” that asserts WE THE PEOPLE have nearly exhausted our peaceful remedies and giving a deadline for the government to comply with redress of grievances in the document. Only upon documenting all the exhausting of all peaceful remedies, submitting a Declaration of Causes to the Government containing a reasonable deadline, and that deadline expiring are WE THE PEOPLE free to consider and implement alternative remedies. Every year since 2005, the Judicial TAR (Transparency, Accountability and Reform) Movement in Minnesota has asked for a hearing before the Minnesota House and Senate Judiciary Committees. The purpose of these hearing being to have these committees receive evidence and testimony of systemic corruption in the Minnesota Judiciary. Each year we have been denied said hearing. Additionally, the Government has engaged in unlawful and unconstitutional retaliation against the leaders of this movement causing some to move out of the state and at least one to move out of the country to escape the retaliation. Requests for such hearings at the Federal level have also been rebuffed. Clearly, WE THE PEOPLE have exhausted our peaceful remedies on this matter. Further, as this article goes to press this writer has litigation before the US Supreme Court moving to declare the Federal Reserve (Banking) System unconstitutional. The FED’s Debt Based Money is the largest single cause of the growing wealth disparity in the USA. Upon the US Supreme Court Failing to declare the Federal Reserve (Banking) System, et. al. unconstitutional and further, satisfactorily redressing the damages the FED has caused, we believe we can declare that WE THE PEOPLE have exhausted our peaceful remedies on this matter. Our peaceful remedies through elections and the Courts having been bought off using the very Debt Based Money revenues which are amongst the reasons the FED is unconstitutional. In every stage of these Oppressions We have Petitioned for Redress in the most humble terms: Our repeated Petitions have been answered only by repeated injury. A Prince [Government] whose character is thus marked by every act which may define a Tyrant, is unfit to be the ruler of a free people. WE THE PEOPLE TAR invite Bernie Sanders supporters to review our proposed Declaration of Causes. We invite you to join us and suggest appropriate additions, corrections and deletions. WE THE PEOPLE TAR asserts that Tyrant Class has been successful in oppressing WE THE PEOPLE by dividing and conquering WE THE PEOPLE with issues and labels. WE THE PEOPLE refuse to fall prey to this divide and conquer strategy of the Tyrant Class again. The 66% of Americans in the middle of the political spectrum are the natural majority of America. We vow to cast off the attack politics the Establishment of both major parties have trained us in and instead resolve to have constructive political discourse that unites WE THE PEOPLE. Please join us in taking back our country from the Tyrant Class, and restoring the Constitution and the Rule of Law. Please help us recruit young adults to be the Face and the Leaders of the Movement. Please don’t vote for corrupt Hillary Clinton and allow the Tyrant Class to further consolidate their strangle hold over us. ← Will Minnesota follow Wisconsin’s “RINO Hunt” Lead?